Ethics in sports means trying your best to win while behaving with integrity. Chicago Bears coach Lovie Smith is an ethics hero for his stand in trying to win a game that was meaningless to the Bears but critical to the team they were playing. The Bears were set as the no. 2 seed in the NFC playoffs after the Atlanta Falcons won their game and clinched the no. 1 seed and home field advantage. So the Bears final regular season game against the Green Bay Packers was meaningless to the Bears, but crucial to the Packers: if they won they were in the playoffs; lose and they’re out. Some teams have rested their key players in such a game, notably—and shamefully—the Indianapolis Colts, who last year rested their best players in the regular season finale against the New York Jets and gave the Jets a playoff berth. 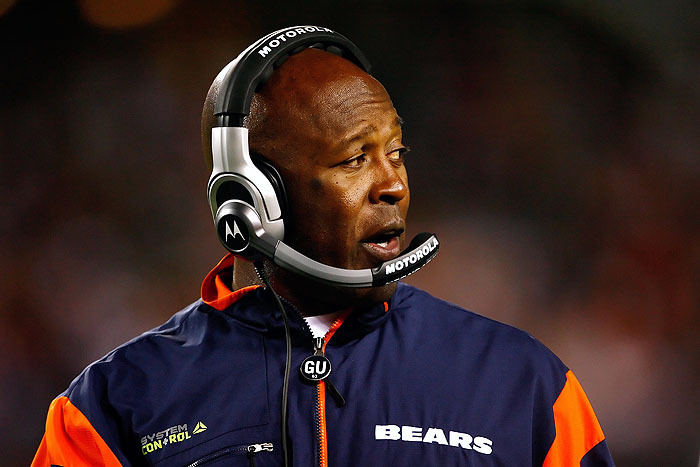 But Bears coach Lovie Smith stood up for the integrity of the game. If it was meaningful for the Packers it was the Bears’ obligation to try their best, so Smith played his starters all the way. The Bears lost, 10-3, but were fighting to the end, driving from their 2-yard line with 4:49 left in the game to the Packers 32, where an intercepted pass ended the Bears comeback and put the Packers in the playoffs. The Bears made them earn it. This entry was posted on January 2, 2011 at 4:54 pm and is filed under Ethics-general, Tolerance. You can follow any responses to this entry through the RSS 2.0 feed. You can leave a response, or trackback from your own site. I love it when coaches do this—it happens all too seldom. Pride and sportsmanship. Priceless. Lombardi used to do this. Smith’s move is worth praising–sportsmanship in the NFL: what a concept! !